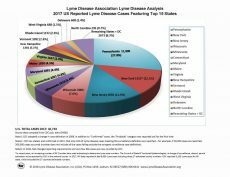 The LDA has used CDC total reported Lyme case numbers (includes “confirmed” and “probable”) to create a pie graph of the 15 states in the US with the highest case numbers for 2016. The LDA has used CDC total reported Lyme case numbers (includes “confirmed” and “probable”) to create a pie graph of the 15 states in the US with the highest case numbers for 2015. 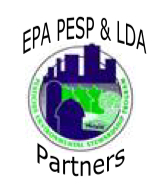 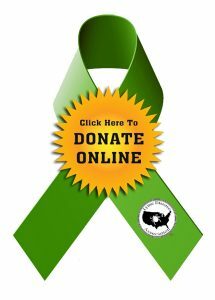 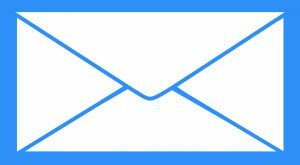 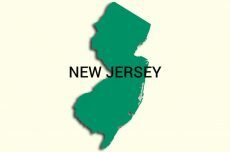 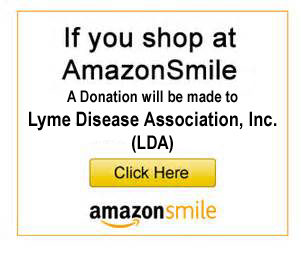 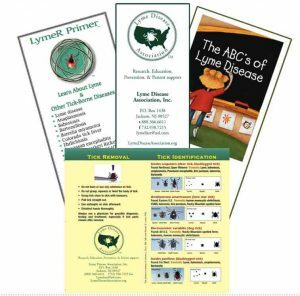 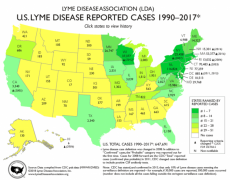 Click US map below to go to all LDA’s Interactive Lyme disease Case Maps. 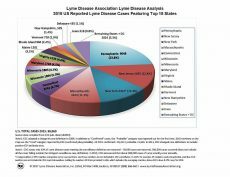 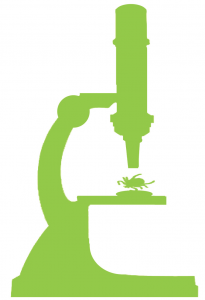 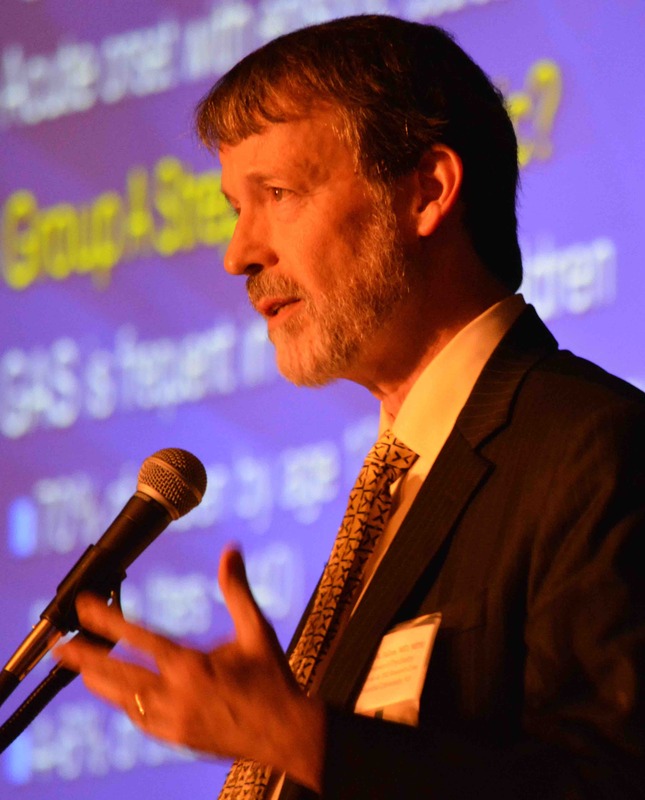 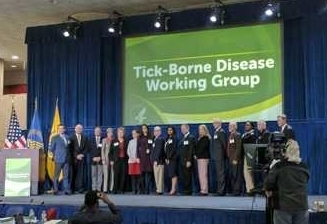 The LDA has used CDC total reported Lyme case numbers (includes “confirmed” and “probable”) to create a pie graph of the 15 states in the US with the highest case numbers for 2014.